the single greatest predictor of emerging adults’ eventual level of religious commitment was the religiosity of their parents. of the most religious quartile of NSYR (National Study of Youth and Religion) young adults ages 24-29 (individuals whose religious attitudes Smith had been tracking since high school) an impressive 82% had parents who reported each of the following: that their family regularly talked about religious topics in the home, that faith was “very important” to them, and that they themselves regularly were involved in religious activities. By comparison, only 1% of the least religious quartile of Smith’s young adults had parents who reported this combination of religious attitudes and practices. Thus, according to the NSYR, the single most decisive difference between Millennials who remained religiously committed into adulthood and those who didn’t was the degree of religiousness exhibited by their parents. The decisive criterion between these latter two categories, however, was not simply whether parents were religiously devout or practicing, but rather whether they considered living Catholically and forming their children religiously to be central dimensions of their general task of parenting. For parents who held this belief, the Catholic faith was not something their family occasionally “did,” but who they were. Nor was religion a vesture of ethnic or ancestral identity merely to be outwardly observed while remaining interiorly unconsidered, as if the fostering of such engagement in their children could be “outsourced” to clergy, CCD instructors, youth ministers, or other religious professionals. Rather, parents were generally the falling or rising point of their children’s own prospects for observing an adult faith. Why is the household so important? It is in the home that, amidst a world of vast ideological and religious pluralism, of unlimited consumer choices and lifestyles, children receive a definitive orientation to the world and specific values for navigating it. The diminishment of ethnic and neighborhood Catholicism over the last fifty years has now caused the home, a relatively more isolated entity, to become the dominant religious subculture amid the current conditions. The home is the crucible where religious identity is primarily cultivated, or neglected. Whether they realize it or not, parents have been thrust center stage. if Catholicism becomes a profound dimension of children’s inbred identity and habitual manner of encountering the world, it becomes increasingly unlikely that they would be able to exit Catholicism without ever engaging it seriously. To put it simply, the more Catholic “stuff” to which children are exposed, the less likely they are to be able to envision their lives in isolation from the practices and relationships that being Catholic entails. The regular exposure to such practices and the family’s long-term dedication to them is the most effective way to guarantee their relevance to an emerging adult’s fundamental decisions about which values and obligations to prioritize in their lives. Furthermore, the family’s collective commitment to such practices cements the bonds between family members and also clarifies the intimate values which animate and suffuse those bonds. It is desirable that the love which joins members of the Catholic family together be inseparable from the religious dimension of the family’s communal life. a household in which religion is discussed openly and frequently is a household in which religion is neither compartmentalized nor swept under the rug out of awkwardness. 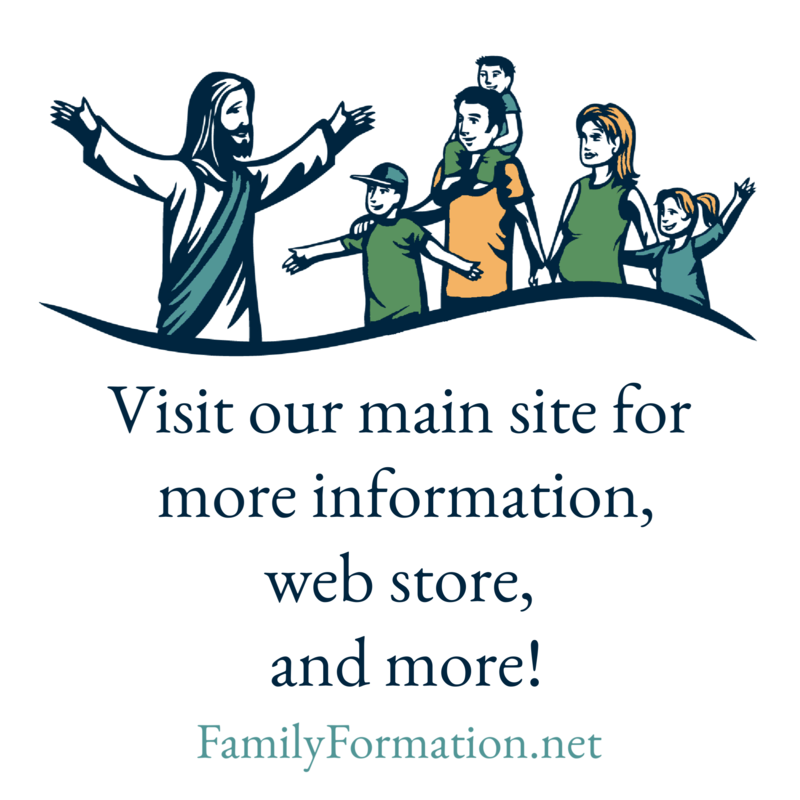 It is a crucial task of religious parenting to ensure that children are active participants in the life of the local Catholic community and that the respective vitalities of parish and home are mutually interpenetrating. We must not underestimate the power of the family to leave a profound religious impression on children, one that lasts into adulthood. The full article can be found in Issue #3.2 of The Catechetical Review. As a subscriber, I have permission to share “for catechetical purposes.” Email me if you would like the full text of the article. This article is a summary of a soon to be released report from University of Notre Dame sociologist Dr. Christian Smith’s project entitled: “Parental Practices and Cultures of Faith Transmission to Children: Context, Commitments and Outcomes.” A report from his research associate, Justin Bartkus, on the project’s findings specifically as they concern the handing on of Catholicism from parents to children will be entitled, “Ask Your Father and He Will Tell You: A Report on the State of American Catholic Religious Parenting”; and released soon through the Institute for Church Life at the University of Notre Dame.